VietNamnet Bridge - While mobile payments are becoming more widely used in many countries, the service remains unpopular in Vietnam, despite the high number of mobile phone subscribers. Can Van Luc, a banking expert from BIDV, said current conditions are all favorable for mobile payments to develop: the retail market and e-commerce are thriving, while bank cards and smartphones are more popular. The presence of fintech firms has also helped the mobile payment market. More than 30 fintech firms were established in Vietnam as of 2016, two-thirds of which provide mobile payment services. Experts also believe that mobile payments will be the outstanding feature of the Vietnam fintech market this year. When the number of mobile phone subscribers exceeds the population, mobile payments have great potential to develop. The payment method has lower costs than traditional methods, while users have a safer and more convenient payment channel. The habit of making payments in cash and the appearance of so many mobile payment solutions are hindrances to market development. According to Luc, the habit of making payments in cash and the appearance of so many mobile payment solutions are hindrances to market development. He cited reports as saying that Vietnamese consumers prefer cash payment and the majority of Vietnamese in rural areas still do not have bank accounts. Meanwhile, there are too many technical solutions. For QR code payments, there are many e-wallets which use different payment systems. As a result, customers have to use different wallets to make payments for different services. The same thing is occurring in Indonesia. “A lot of payment solutions have been launched, but none of them are popular,” he said. Nguyen Dang Hung, deputy CEO of NAPAS (National Payment Corporation of Vietnam), said on Dau Tu that when Vietnam shifts into chip card technology, slated for 2020, more solution providers will come to Vietnam. These include well-known names such as Samsung Pay, Apple Pay and Google Play. Not only the foreign giants, but a number of domestic banks and fintech firms have their own e-wallets. To date, 25 e-wallets have been set up in Vietnam, while 12 banks have been providing payment services with QR code. As QR code has not been standardized, the shops which accept QR code payment have to create many codes for one product, which is inconvenient to both sellers and buyers. 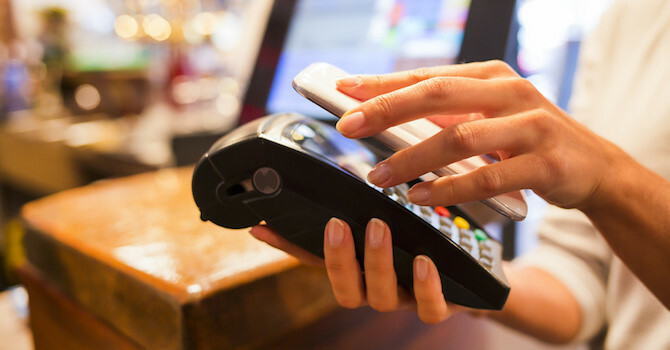 An analyst noted that in order to use Apple Pay and Android Pay, sellers have to have NFC device (near-field communication). Samsung Pay can be used with traditional magnetic cards, but it requires expensive smartphones. Thus, Samsung Pay, Apple Pay and Android Pay cannot be used on a large scale, especially in remote areas.